A late father’s day treat! Andry Rajoelina, more commonly known as “Andry-Shango“, is a designer in the animation industry based in Paris, France. 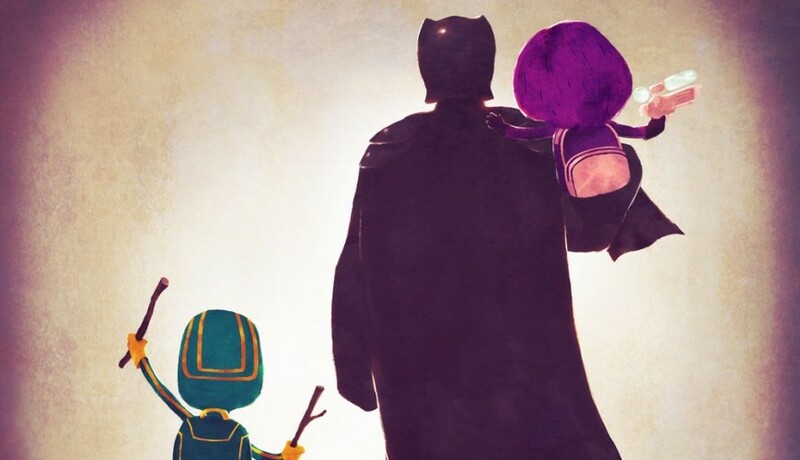 He created a series of fantastic illustrations called “Super Families” where he showed some of our favourite pop culture characters and superheroes with their sidekicks. Each illustration depicts a character that we all know and love as either a young kid or a grown-up parent. The characters seem to be walking their kids to school because of the backpacks they carry. Even with their backs turned to us, each character is easily recognizable with their familiar and unmistakable outfits. As a late father’s day treat, featured below are some of our favourite characters with their dads (and uncle for Peter Parker). Head over to deviantART and see more of Andry’s wonderful work. You can also follow him on Facebook or Tumblr.